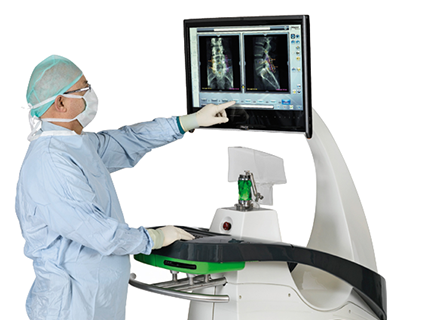 Is currently the only ASC in the U.S. to employ the Mazor Robotics Renaissance Guidance System for Spine Surgery. 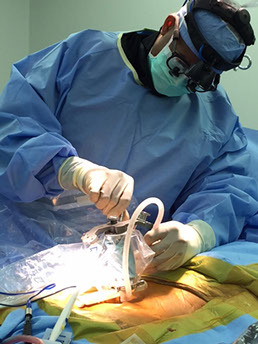 Our expert physicians have been certified to apply this new state of the art technique on clinically indicated spine cases, to enhance capabilities for optimal patient care. The Renaissance Guidance System works well for a variety of spine procedures, such as: minimally invasive and percutaneous posterior spinal surgeries, hardware placement for spinal fusion surgeries, scoliosis and other spinal deformities, osteotomies and biopsies.